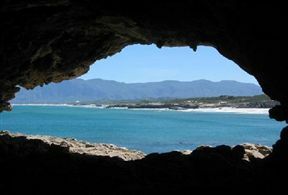 Managed by Cape Nature, Walker Bay stretches along the coast from De Kelders to the Hermanus Lagoon. Walker Bay Nature Reserve offers much for the whole family. 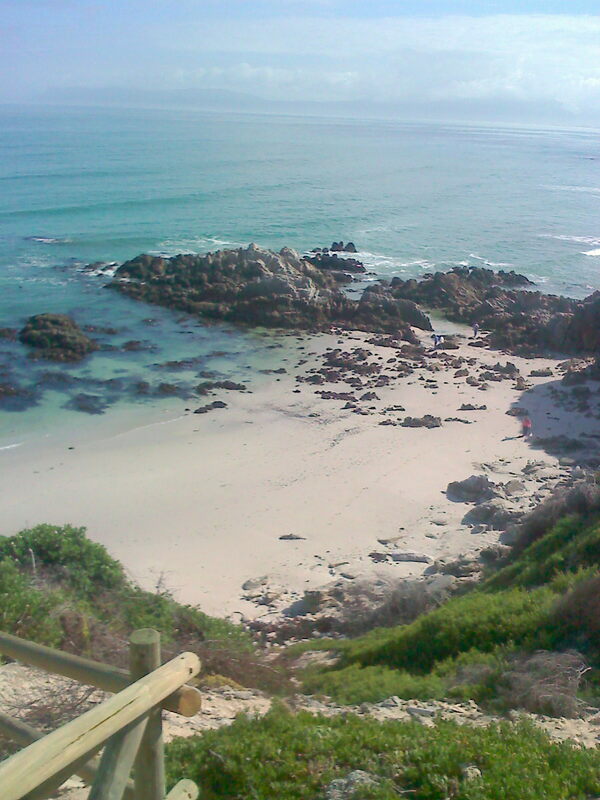 From wide beaches to sea caves, good fishing grounds to pretty fynbos and hiking trails. A 24 km hiking trail hugs the coastline and there are several beaches and protected coves. Die Plaat, a vast area dominated by drift-sand can be seen from the other side of Walker Bay. There are a variety of mammals to be seen, such as the Cape clawless otter, bushbuck, duiker, and steenbok. Southern right whales can be spotted between August to November, and dolphins throughout the year. The reserve is open daily from 7 am until 7 pm, and the entrance is on the northern edge of De Kelders. Visitors will need an entry permit, which can be purchased at the gatehouses at De Kelders and Uilkraalsmond. The famous Klipgat Cave can be reached by a boardwalk and steps from the entrance. Walker Bay Nature Reserve is 2.9km from the centre of De Kelders , the nearest airport 107.6km (Cape Town International Airport).